We are having such a beautiful weather here, it certainly feels like spring already and I can finally forget all the ugly winter shoes again haha! Today I wore my new dress which I recently got from Motel Rocks. I absolutely love the shape and the print which for some reason reminds of 'The Carrie Diaries' style. In addition to the red/pink theme that was going on here, I took my persunmall bag for a walk. I've been craving this bag for years, and still it's not Proenza Schouler, but I love this bag, it has so many sections and overall I think it's just lovely. Maybe this calls for a 'what's in my bag' post? Those shoes are so cute! Totally agree with you: the worst part about winter is that it's very difficult to wear nice shoes... glad the weather seems to be better where you are! But that nice blog compliments ☺! see you soon and good evening! Such a cute outfit :) I really like it, especially those cute flats. your blog is so beautiful and so are you! Love your outfit! Stunning photos and i love the print on your dress! Great outfit! And I love your red bag as well. I like your outfit & the bag is one of they eye catchers here(love the fastener). Amazing pics and beautiful outfit! Thanks for visit my blog, I follow you with pleasure I hope you follow back! Amazing look, love your dress! I just founf your blog and it's great! Follow u right now, hope u can follow me back! I LOVE YOUR STYLE you are so pretty !!! You look amazing. I love that print on your dress! Great style! Would you like to follow each other via Bloglovin or GFC? The sunlight is beautiful and so are you! Dear, love this look and the pics!! I'm your new follower! This outfit is amazing and you're really beautiful! Thank you for leaving such a kind comment on my blog! I'll gladly follow you on GFC from Finland! I love your outfit and the kitty flats. Flawless!!! 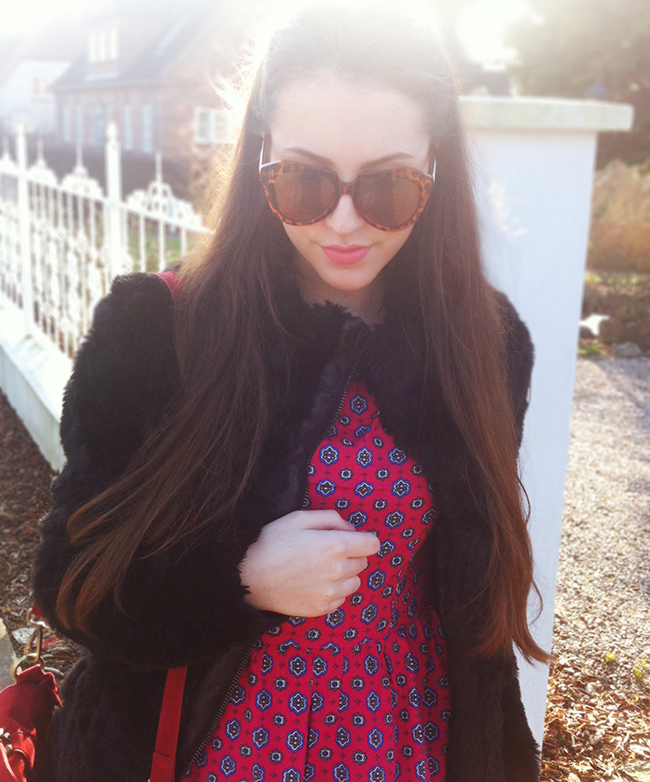 those sunglasses look amazing on you and your dress is so cute, a great combo ! Beautiful pictures! The light is making them looks magical. And I love the dress of yours, it has really nice pattern! these photos are stunning...so full of light!! I like so much your dress and coat! Lovely pics! I love the dress, I'm in love with this color. Such lovely images - I adore the sunglasses!! Thanks so much for checking my blog out! I definitely will follow your blog! I can't believe I didn;t come across your blog before! I love it! thank you for the comment on my blog! so glad i've now come across yours, it's lovely! 1st, this outfit is so cute! You are very talented, I really love your illustrations. LOvE the coat and those shoes.. 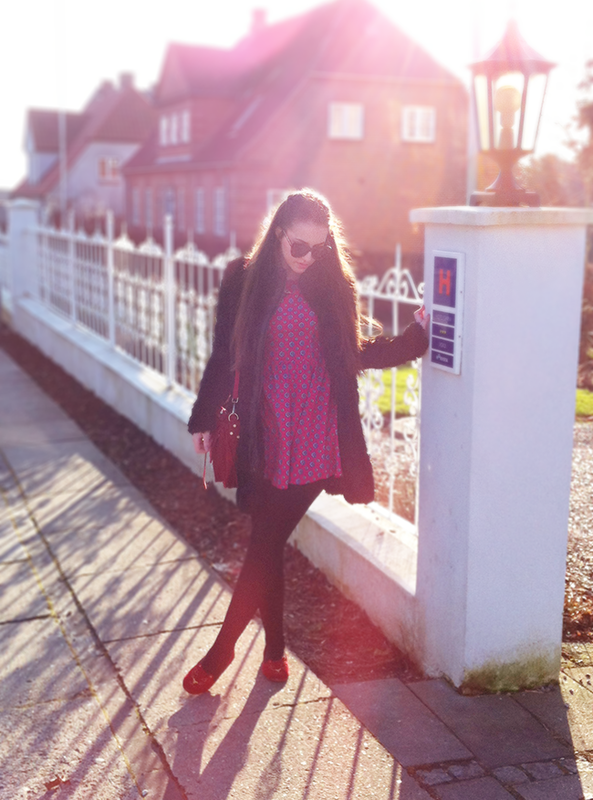 I just in love with your blog! I love you blog, is so inspiring, and this photos are amazing and so poetic. LOVE :) First time visiting your site and I will definitely be back! Love the look! 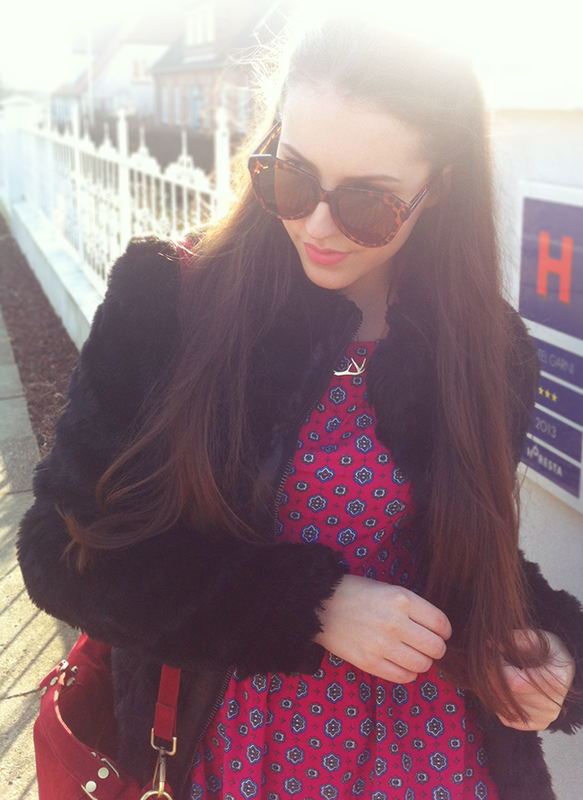 The glasses, the coat, the bag - perfect!! the dress is too cute, i love that print. It's very homey. Love it you look amazing !! Looking gorgeous dear.x Wish we had such a lovely weather here as well! Gorgeous dress, love the print and style. 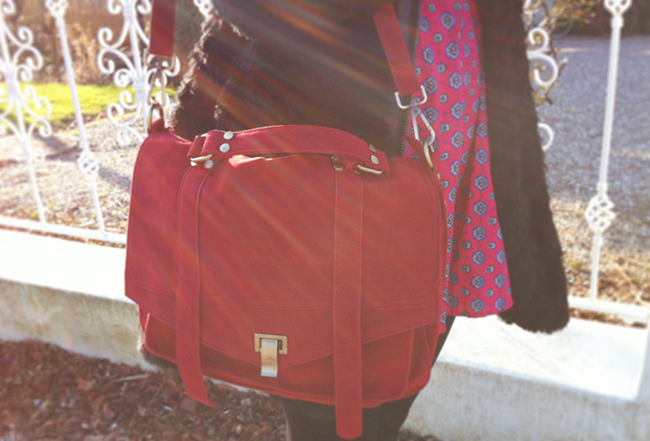 Love your bag and the colour is perfect.x Have a lovely day! You look so beautiful my dear!! And the photos are amazing!! Thank you for following me!! I am following you via GFC. Beautiful dress! I love your style. Your background and everything about your blog is gorgeous, where is it from or did you design it on your own! ?